He was brash. Politically incorrect. An “outsider” political candidate who rose to the White House, out of nowhere, with a reputation as a “counter-puncher.” But Vice President Spiro Agnew was also something else… an active criminal whose secrets were about to be exposed. What happens when a “counter-puncher” in the White House suddenly sees his political future directly threatened by investigators inside his own Justice Department? history often has answers or clues on how best to or not to move forward. Thanks Rachel. omg.. it's like Trump... except with a crime involved! Troy M I was thinking the same thing about Hillary and the Clinton foundation! this sounds so like dictator "Trump" refuse to call him our President. Not worthy of the title. .
what an amazing look into this crooked White house. Rachel I really can't wait for the next episode. 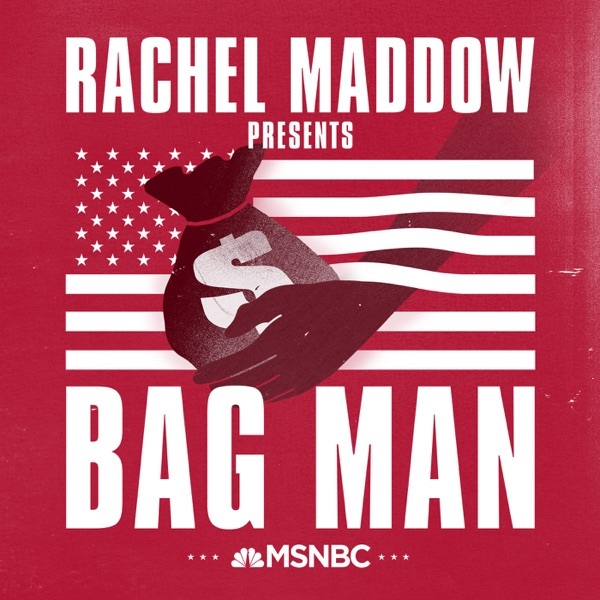 I'm waiting to hear When the Bagman is Elected President. the music is awesome.... she's so intense telling the story.... she draws me in! 👍💗 great job Rachel!!! Mouthy right wing nut turns out to be a corrupt criminal?! I'm shocked. SHOCKED, I say. Hi Rachel, I was young when this story happened. Thank you for bringing reminding us! Nixon Trump and Roger Stone. i can't wait for the whole truth and pray that we can get there. Love you Rachael. Rachel, you definitely are a teacher in disguise. Keep up your motivational anchoring. Don't ever leave MSNBC. Rachel at her best. Her petition for details is amazing! Kind of like a modern day Cliff Notes...interesting and succinct. so great. thanks Rachel. you're a national treasure!